For a long time Nigeria has been plagued with having to watch their natives represent other countries and the upcoming Euros offers us another ‘opportunity’ to witness more of the same. The good news however is that we are not alone in this predicament. So here we will profile some of the players at the upcoming Euro 2016 tournament who will be representing countries other than their countries where they were born; from the obvious such as Dele Alli to the more obscure such as Berat Djimsiti to the unimaginable such as Zlatan Ibrahimovic. Eliaquim Mangala chose to represent France over both Congo and Belgium having spent most of his formative years in the latter. Bacary Sagna: Even after expressing his desire at a young age to play for Senegal where his parents originally hail from, he has gone on to make 55 appearances and counting for the French senior national team. Son of a Senegalese diplomat Patrice Evra moved to France as a 1 year old. Hugo Lloris could have represented Spain due to his father’s Catalan roots. Both Anthony Martial and Kingsley Coman are of Guadeloupian heritage so i think it is safe to say they were always going to choose France. Johan Djourou was born in Abidjan, Côte d’Ivoire, to Ivorian parents, and moved to Geneva when he was 17 months old. Philippe Senderos is a child of Serbian and Spanish immigrants. He is also married to an Iranian woman. Ricardo Rodriguez was born in Zurich Switzerland to a Spanish father and a Chilean mother but represented Switzerland at youth level and was part of the u17 team that won the u17 world cup in 2009. Xherdan Shaqiri, the “Alpine Messi” was born in Gjilan to Kosovo Albanian parents. He migrated to Switzerland in 1992 with his parents and three siblings. Granit Xhaka: Granit was born in Basel, Switzerland to Kosovo Albanian parents and his brother Taulant Xhaka is an Albanian international. Before making his international debut for Switzerland Xhaka was still undecided whether to play for his birth country or Albania, and he complained to the Albanian sports media that FSHF was ignoring him while the Swiss Football Association was showing much more interest. Breel Embolo was born in Yaoundé, the capital of Cameroon. But he pledged his international allegiance to Switzerland as recently as December 2014. Haris Seferović’s family is from Sanski Most, Bosnia and Herzegovina. Although he represented Switzerland at under-17 level and was the top scorer at the 2009 FIFA U-17 World Cup in Nigeria, in 2013, ahead of the Bosnia and Herzegovina national team’s match against Slovenia, Seferović claimed he wanted to play for the country of his parents’ birth. However, he later accepted a call-up from Switzerland, and made his debut in a friendly game against Greece on 6 February 2013. Danny Rose, although born and raised in England has Jamaican roots through his grandfather. Ross Barkley was eligible to represent both England and Nigeria as he has a Nigerian father but chose to bear his mother’s name and represent her country because of his less than cordial relationship with his father. Raheem Sterling was born in Kingston, Jamaica and seriously considered playing for them as a teenager. Adam Lallana has a connection to Spain through his Paternal Grandfather, although I doubt he would make it into the present Spain squad. Eric Dier was also eligible to play for Portugal after spending most of his formative years in Lisbon. Wayne Rooney was eligible to represent the Republic of Ireland, through an Irish grandmother. In 2015 he confirmed that he had rejected an approach from Ireland at the age of 16, describing himself as “English through and through”. Harry Kane was also eligible for the Republic of Ireland through his father, who was born in Galway, Ireland. Daniel Sturridge is another of Jamaican Lineage. Roman Neustädter was born in Ukraine to parents of German ancestry and was offered call-ups to the three national teams and actually represented Germany on 2 occasions before being granted Russian Citizenship. He is yet to make his debut for the Russia team. His father played two matches for Kazakhstan. 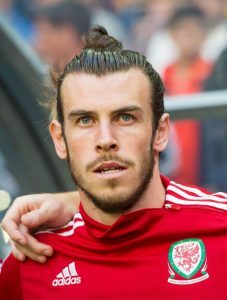 Gareth Bale was eligible to play for England thanks to his English grandfather but he stated in 2007 that: “It is an honour to play for Wales…Nobody ever got in touch with me personally from England, only through my agent. He went on to become the youngest goal scorer for Wales. Neil Taylor eligible to play India, where his mother is from. Jérôme Boateng was born to a German mother and Ghanaian father in Berlin. He is the half-brother of ex Ghana international Kevin-Prince Boateng. Bernd Leno’s Parents and brother were born in Russia and when he was 17 the Russian FA made contact with his father possibly about naturalizing Leno. Emre Can and Mesut Ozil: Due to their Turkish ancestry, would also be eligible to play for the Turkey national football team. Sami Khedira was born to a Tunisian father and a German mother. Karim Bellarabi was born in Berlin, Germany, to a Moroccan father and a German mother. Leroy Sane the son of a former Senegalese international footballer Souleyman Sané could also have represented France, the country where his father grew up but represents his mother’s Germany, where he was born. Mario Gomez was born to a Spanish father and German mother. David Silva: Born in the Canary Islands to a Spanish father and a mother of Japanese descent. Thiago Alcantara, son of World cup winning Brazilian Manzinho, who was born in Italy, has represented Spain from the youth set up while his brother Rafinha chose to represent Brazil. Hakan Balta, Nuri Sahin, Gokhan Tore, Yasin Öztekin, and Hakan Çalhanoğlu were all born in Germany to Turkish parents. Oğuzhan Özyakup a former Arsenal academy player was born in Netherlands and represented them at youth level before switching his allegiance to Turkey and scoring his first international goal against the Dutch. Croatia captain Darijo Srna was born in Metković, in the Croatian region of the then Yugoslavia to a Bosniak father and Serbian mother. Tin Jedvaj’s father is a former Bosnian International footballer who relocated to Zagreb before Tin was born. Ivan Rakitic was born in Switzerland to a Croat father and a Bosnian-Croat mother and represented Switzerland at U21 level. Mateo Kovačić was born in Austria to Bosnian-Croat parents but has represented Croatia even from a young age. Alen Halilović’s father was Bosniak and played for both Croatian and Bosnian national football teams. Brothers Jordan and Romelu Lukaku were born in Antwerp, Belgium to Roger Lukaku, who played professional football and was capped at international level by Zaire now Congo. Marouane Fellaini born in Brussels, Belgium to Moroccan parents was eligible to play for either Belgium or Morocco but opted to play for Belgium from youth level. Mousa Dembélé was born in Antwerp, Belgium. His father is Malian, while his mother is Belgian. Radja Nainggolan was born in Antwerp, Belgium to a Belgian mother and an Indonesian father. Kevin De Bruyne’s mother was born in Burundi but I must say he would look very much out of place in their national team set up. Christian Benteke was born in Kinshasa in then Zaire but his family fled to Liege, Belgium. Divock Origi is the son of former Kenyan professional footballer Mike Origi. Yannick Ferreira Carrasco was born in Ixelles, Belgium, to Portuguese and Spanish parents. Michy Batshuayi another who was eligible to play for the DR Congo national team through his parents, but in March 2015 he ruled out this option. Angelo Ogbonna was born to Nigerian parents who immigrated to Italy from Nigeria, but managed to obtain Italian citizenship after his 18th birthday. Ricardo Montolivo was born to a German mother and an Italian father and holds both passports. Thiago Motta and Jorginho were born in Brazil and are eligible due to their Italian lineage. Sweden’s captain, all time top scorer and legend Zlatan Ibrahimović was born in Sweden to a Bosniak father and a Croatian mother of partial Albanian descent and was therefore eligible to represent Sweden, Bosnia and Herzegovina or Croatia at international level; he chose Sweden. Lucky them. John Guidetti’s paternal grandfather is Italian and his paternal grandmother is half Swedish, half Brazilian and he has lived in Kenya on two occasions with his father Mike. Pepe was born in Brazil and according to the player’s father; in 2006 he was contacted by coach Dunga about a possible call-up, which he declined, stating that once he obtained Portuguese citizenship he would join its national team. William Carvalho was born in Luanda, Angola. When he was still part of the Portugal under-20s the Angolan Football Federation tried to call him up, but were rejected. Renato Sanches was born in Lisbon to a father from São Tomé and Príncipe and a mother from Cape Verde. All time top scorer and arguably the best player ever to don the Portuguese jersey Cristiano Ronaldo’s great-grandmother Isabel da Piedade was from Cape Verde (A bit of a long shot). Luis Nani was born in Cape Verde and immigrated to Europe with his family at an early age. Marko Arnautović was born in Vienna to a Serbian father and an Austrian mother. David Alaba was born in Vienna, Austria to a Nigerian prince and his mother emigrated from the Philippines. Switzerland and Ireland have the highest number of non ethnic players with 16 of their players having non-Swiss and non-Irish lineage. 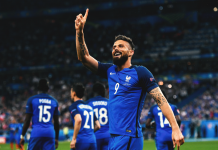 With none of the teams boasting a complete squad of payers exclusively from the country they are representing, there is quite a high possibility that the winning goal at this year’s tournament final might be scored by a player from a country other than the country he scores the goal for.